Dealing with waste has been a problem for humans since well, forever. When humans switched from nomadic bands of hunter-gatherers to settled communities of farmers, they had to keep waste out of their small societies. As these communities grew, the need for sewage and septic systems grew evermore important. While people have been finding clever ways to get rid of their waste for millennia, only recently have septic tanks and systems become a regular part of settled living. 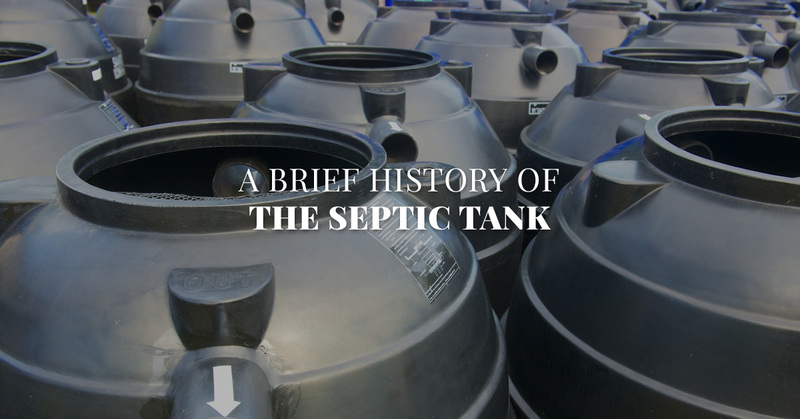 Today, B&B Pumping in Azle is proud to present a brief history of the septic tank. Some of the earliest known “toilet” and waste management systems can be found in China. 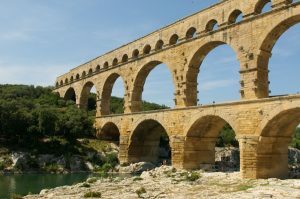 Around 200 BCE, they designed something akin to a water closet. Later, in Europe, societies began creating outhouses to keep them from constantly having to look for new places to relieve themselves. While these systems kept human waste confined to one part of a village or city, these waste pits would have to be covered, and a new latrine would have to be dug when the old one was full. Humans were content with digging latrine pits for literally thousands of years until the 19th Century. It was then that French inventor Jean-Louis Mouras decided to create a new waste management system. The impetus for his work was temperature change. Until then, when you needed to relieve yourself, you would travel outside to a nearby outhouse. While this kept the smell out of your home, it also meant that you would have a very cold trip to the toilet during winter. Mouras built a prototype of the septic tank made from concrete and clay pipes. He ran these pipes from his home to the tank which was buried in the ground. He used this system for 10 years before finally dismantling the system to see how it had held up. He was surprised to find that the tank was filled with liquid waste and a layer of scum on the top. With this newfound knowledge, Mouras contacted a scientist and began to design a better septic system. By 1881, Mouras and his partner had perfected the system and patented their design, allowing them to sell their invention all over the world. While a French inventor can take credit for creating the septic system, it would be the United States that would perfect the design. By the early 1880s, the first septic tanks arrived in the US. The idea quickly caught on, and many homes began installing septic tanks made from concrete, steel, and clay. These systems would drain out into a drainage field. By the end of the WWII-era, septic systems could be found in homes and buildings across the entire country. These systems were popular, but that didn’t mean that they were always effective. These early systems were prone to cracking and being coated in rust that would erode the pipes and tank, leading to bursts and failure. It was clear that Americans needed new septic tank designs and materials. In addition to failing septic systems, Americans were concerned with other aspects of their septic systems. Urban areas were expanding faster than sewage treatment plants could be built, and there was concern that leach fields were draining sewage into groundwater supplies. 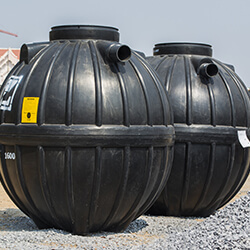 This lead to the development of new septic tanks being made from durable and lasting fiberglass, precast concrete, polyurethane, PVC, and other plastics. With regular septic tank maintenance, these systems were much easier to use and care for, and lead to fewer problems. Similarly, drain fields have been improved through the use of strong plastic pipes. These pipes are also routed away from groundwater sources and are sometimes built in raised mounds to keep the water from leaching into groundwater that is near the surface. These new systems, made from cutting-edge and durable materials may last longer than their 19th Century counterparts, but that doesn’t mean that they are free from problems. Failing to take care of your septic tank can lead to a host of problems and issues. That’s why it’s important to work with the professionals at B&B Pumping in Azle to ensure that your septic tank receives the routine maintenance it needs. Contact us today to schedule an appointment!